Paris, France - January 23, 2018. Atari Game Partners, a 100% subsidiary of Atari, one of the publishers and producers of interactive entertainment's most famous in the world, today announced the launch of an equity investment campaign platform Start Engine Platform crowdfunding to finance and develop a first set of massive catalog Atari RollerCoaster Tycoon for Nintendo Switch. The objective is to test the interest of investors for this type of financing, knowing that, whatever the outcome of this campaign, Atari released this game in 2018 given the potential of the franchise. The terms of the offer are available at the following address: www.startengine.com/atarigame-partners . For regulatory purposes, this offer is only open on the US territory. Investors will be entitled, for a period of 18 months following the release of the game, 50% of profits until a yield of 20% and 25% of profits .. No investment money back guarantee is offered, investor returns is capped depending on the future performance of the game and this financing does not entail any dilution for shareholders of Atari. The results of the campaign will be announced in April 2018. "We have more than 200 games available likely new developments, we must be open to all forms of funding provided they meet three essential criteria: (i) the absence of collateral, (ii) a capped efficiency, that balances profit sharing between the current shareholders of the Group and one-time investment of a game, and (iii) the absence of dilution for shareholders " said Frederic Chesnais, CEO of Atari SA. " The initiative we are launching today is part of this strategy, given that in any case we are moving forward on this exciting game. " This project will accelerate the development of an exciting new version of the iconic deductible RollerCoaster Tycoon whose addictive gameplay and much appreciated is perfectly suited to the Nintendo Switch, the latest Nintendo console generation. The Group has adopted StartEngine for this project, one of the main platforms of crowdfunding in the United States. Founded in 2013 and based in Los Angeles, StartEngine has already collected more than 50 million to more than 100 companies. 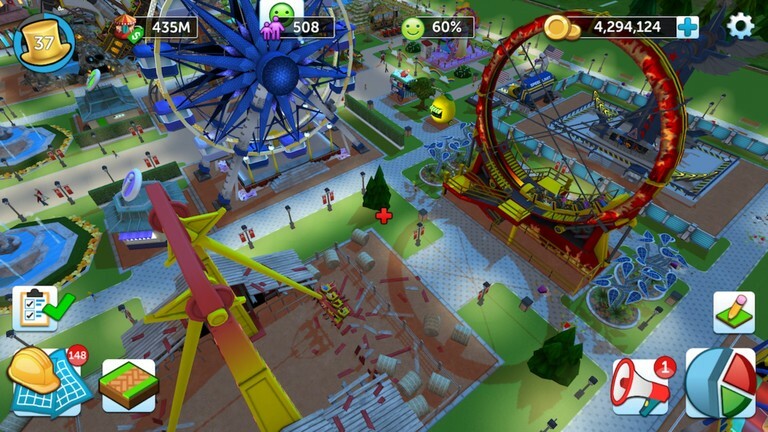 The studio that developed the popular RollerCoaster Tycoon Touch mobile, Nvizzio Creations is the developer of this new version of the game and thus brings expertise and deep understanding of RollerCoaster Tycoon. For more information, visit www.AtariGamePartners.com Follow us on Twitter and @RCT_Switch "Like" RollerCoaster Tycoon on Facebook.